The use of internet and computers is increasing and these devices and technology has been integrated into Study, Work, Entertainment and almost every part of our life. Tablets and Notebooks are being utilized very fairly in developed countries and this trend also follows in other countries. The use of these gadgets and technology has really made study very interesting. That is why teachers, professors and universities suggesting use of technology in the study. There are a lot of Tablets and other gadgets available in today's market. Some are at very high rates while others are pretty cheap. 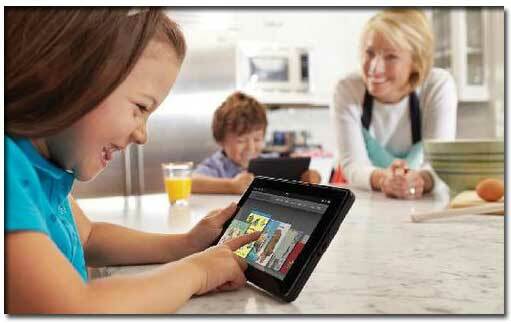 Here is the list of best Android Tablets which can be useful for students and children. The Tablets are both great in features and have optimum price range. These Tablets are available in almost all over the world. If your favorite one is not available at your local store, you can buy one from Online Stores. Android Tablets are much better choice than iPads. The first reason is the cost and second reason is freedom. You can do anything you want on your Tablet such as customizing themes, look, installing apps etc. While on iPad there are restrictions everywhere. The other reason is that you have plenty of free apps on Android while most of the apps in Apple AppStore are paid. Google Nexus 7: Google Nexus 7 is by far the best Android Tablet available in the market. It has been manufactured by Asus. The tablet comes with great new features and is compatible with almost all available apps on Google Play. This Tablet has the updated Android Jelly Bean 4.3 with a lot of new features and this tablet will also be the one of the first devices to receive the updates in future. 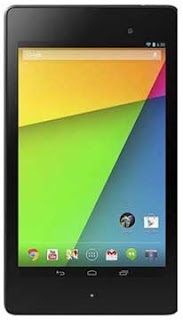 Following are the features and specifications of Google Nexus 7. Camera: Back 5 MP and 1.2 MP Front. 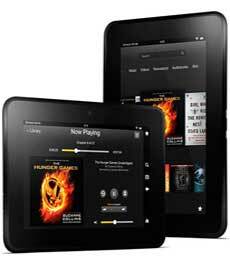 Kindle Fire: Kindle Fire is the Tablet by E Commerce Guru 'Amazon'. It comes with Android 4.0 ICS and have some great features such as HD Screen 1280x800 with polarizing filter and anti-glare technology. Kindle Fire HD also features exclusive, custom Dolby audio, dual-driver stereo speakers, and auto-optimization software for clear, crisp, balanced audio which results in booming sound without distortion. Other great features are Kindle Freetime and Kindle Prime. 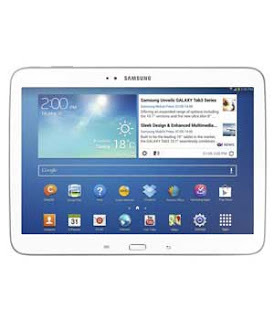 Samsung Galaxy Tab 2: Galaxy Tab 2 comes with SIM Card support which enables you to use your tablet as a mobile phone. You can use this tablet to use 2G, 3G internet and to make audio calls. 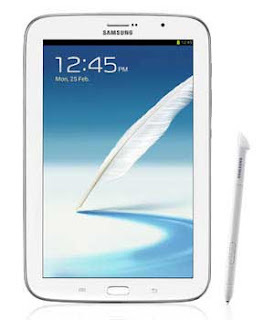 It is a slim tablet for general use. 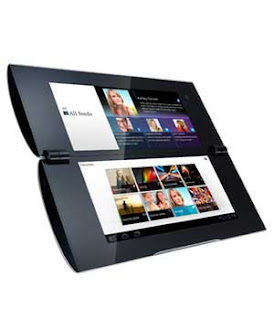 Sony Tablet P: Sony Tablet P comes with a unique design. It is easy to use, world's first Tablet with PlayStation support. Tablet P comes with Sony’s amazing TruBlack™ display, means by controlling the refraction of light between the LCD and the screen, Sony’s TruBlack™ panel will blow you away with more vibrant colors and truly amazing image quality. Camera: Back 5.0MP Back and 0.3 MP Front.